Hitlisten, also known as Tracklisten, is a Danish top 40 record chart that is updated every Thursday midnight on the website hitlisten.nu. The weekly Danish singles chart Track Top-40 combines the 40 best-selling tracks from legal music downloads and the sales of music singles on either CD or vinyl. The data are collected by Nielsen Music Control, who also compile the chart on behalf of IFPI (International Federation of the Phonographic Industry). 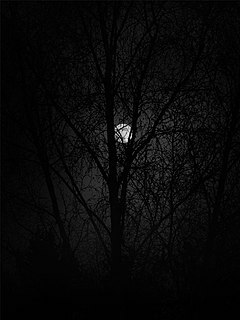 Midnight is the transition time from one day to the next – the moment when the date changes. In ancient Roman timekeeping, midnight was halfway between sunset and sunrise, varying according to the seasons. By clock time, midnight is the opposite of noon, differing from it by 12 hours. This chart began in April 1965 as a monthly top 20 chart compiled by the Danish branch of the International Federation of the Phonographic Industry (IFPI). It was published in several major Danish newspapers. Prior to that several Danish charts were compiled by competing newspapers. From April 1969 it went weekly after Denmark's Radio stopped publishing their weekly top 20 chart. From May 1973 to December 1978 singles and albums were presented on the same chart due to a request from Denmark's Radio for variety in their chart show. During this period only few singles reached the top. The formats were finally split again in January 1979. The International Federation of the Phonographic Industry (IFPI) is the organisation that represents the interests of the recording industry worldwide. It is a non-profit members' organisation registered in Switzerland and founded in Italy in 1933. It operates a Secretariat based in London, with regional offices in Brussels, Hong Kong and Miami. Danish IFPI continued producing single charts in the 1980s and 1990s even though not many singles were sold. 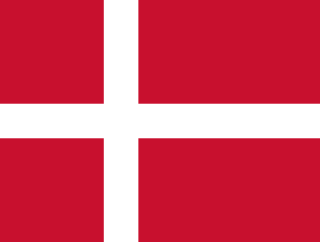 Prior to 1993, Denmark was the only market in Scandinavia without a fully recognized and reliable airplay chart. In January 1993, Music & Media announced that IFPI Denmark was moving towards launching a national airplay chart through collaboration with AC Nielsen. Beginning in 1993, Danish charts were compiled by Nielsen Music Control (originally AC Nielsen). The Danish Singles Chart Hitlisten consisting of Single Top-20 and Download Top 20 was relaunched 1 January 2001 and served as official chart for Danish record sales until end of October 2007. Music recording sales, commonly called record sales, are activities related to selling albums, singles, or music videos through record shops or online music store. Record sales reached the peak in 1999, when 600 million people spent an average of $64 in buying records, bringing a total of $40 billion sales of recorded music. Sales continued declining in the 21st century. The collapse of record sales also made artists rely on touring for most of their income. 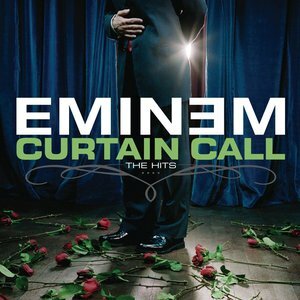 Curtain Call: The Hits is the first greatest hits album by American rapper Eminem. It was released on December 6, 2005, under Aftermath Entertainment, Shady Records, and Interscope Records. The album collects Eminem's most popular singles, as well as four new songs, including a live version of "Stan", featuring English singer and songwriter Elton John from the 43rd Grammy Awards, plus the songs "FACK", "When I'm Gone" and "Shake That" featuring Nate Dogg. "No Promises" is a pop song recorded by Danish singer Bryan Rice for his debut studio album, Confessional (2006). It was recorded by Rice for the soundtrack of the Danish comedy film Nynne (2005). The song was a big hit in Denmark in 2005/2006 peaking at number one on the Danish Airplay Chart. "No Promises" was the fourth most performed work by Danish songwriters in Denmark between 2000-2009 according to Danish performance-rights organisation KODA. The song had international success in a Shayne Ward cover, peaking at number two in the UK in 2006. The Official Finnish Charts are national record charts in Finland composed by Musiikkituottajat – IFPI Finland. The name Suomen virallinen lista/Finlands officiella lista, which is singular in both Finnish and Swedish, is used generically to refer to both the albums and the singles chart, and the context reveals which chart is meant. 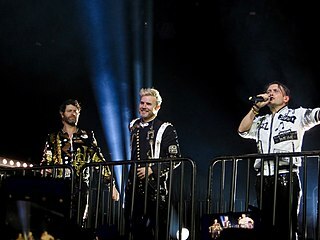 The discography of Take That, a British pop music group, consists of eight studio albums, two compilation albums, thirty-two singles, two live albums, one extended play and fourteen video albums. International Federation of the Phonographic Industry Greece, or simply IFPI Greece, is the Greek branch of the International Federation of the Phonographic Industry (IFPI) and is the official charts provider and recording sales certification body for Greece. The association publishes a Top-75 combined repertoire albums sales chart is compiled. The charts is published by IFPI Greece and sponsored by Cyta Hellas. Nabiha Bensouda is a Danish singer-songwriter who has gained attention after releasing three albums, including a re-issue, and enjoying a number of successful singles on Tracklisten, the official Danish Singles chart as well as on the official airplay chart. "Alors on danse" is a song by Belgian musician Stromae. It was released in September 2009 in Belgium and in February 2010 in the rest of Europe. The song reached number one in Belgium, Albania, Austria, Bulgaria, the Czech Republic, Denmark, Finland, France, Germany, Greece, Italy, Luxembourg, the Netherlands, Poland, Romania, Russia, Slovakia, Switzerland and Turkey, and also reached number one on the European Hot 100 Singles. The song also became a success in North America, as on 1 April 2010, "Alors on danse" was released in Canada, receiving airplay in Québec from NRJ Radio stations throughout the province, as well as CKOI-FM. Four months after the European release, almost one million copies worldwide were sold. The song spent 57 weeks on the German Singles Chart, making it the 40th song to spend one year or longer on that chart and the song with the 31st longest run. According to Francophonie Diffusion, "Alors on danse" was the most-played Francophone single worldwide of 2010. As of July 2014, it was the 83rd best-selling single of the 21st century in France, with 334,000 units sold. Addiction is a song by Danish singer Medina from her international debut studio album Welcome to Medina. It was released as the third single from the album on 1 November 2010. The electropop song was written by Medina, Providers and Lisa Greene and it was produced by Providers. "Addiction" peaked at number one in Denmark, becoming Medina's fifth number-one single. In the US, the song peaked at number one on Billboard's Hot Dance Airplay chart. Thomas Kato Vittrup, better known as Kato, is a Danish disc jockey and music producer mostly in the house genre. "Friends" is a song by Danish singer-songwriter Aura Dione from her second studio album, Before the Dinosaurs. The song features American production team Rock Mafia who co-wrote the song with Dione and David Jost. Dione wrote the song to let her friends know how precious they are to her. "Friends" was released as the album's second single on March 2, 2012. It became Dione's third top ten hit in her native Denmark, where it peaked at number six. "Friends" also became a top ten hit in Germany, Switzerland and Austria. "Cool Kids" is the debut single song by American indie pop band Echosmith from their 2013 debut studio album, Talking Dreams. The song was written by Echosmith, Jeffery David, and Jesiah Dzwonek. It was produced by Mike Elizondo, with additional production on the radio edit by Rob Cavallo. "Cool Kids" was originally released on May 31, 2013 as the iTunes Store Single of the Week and officially impacted United States radio the following year. The song subsequently became a sleeper hit, peaking at number 13 on the Billboard Hot 100 and receiving airplay on US modern rock, hot adult contemporary, and contemporary hit radio stations. The song is a playable track in Guitar Hero Live. "Are You with Me" is a 2012 song by country singer Easton Corbin. The song first appeared on Corbin's second studio album, All Over the Road (2012). It was later included on Corbin's third studio album, About to Get Real (2015). A remix by Belgian DJ Lost Frequencies was released in 2014, and in 2016 Corbin released the version from About to Get Real as a single of his own. "7 Years" is a song by Danish soul-pop band Lukas Graham from their second studio album, Lukas Graham. The song was released as a digital download on 18 September 2015 by Copenhagen Records. The lyric video was uploaded to YouTube on 17 November 2015, and the music video was uploaded on 15 December 2015. 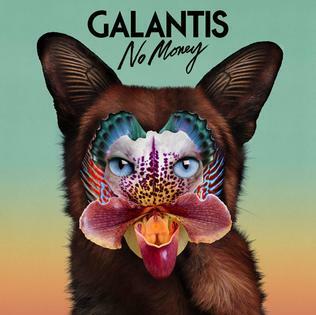 "No Money" is a song by Swedish electronic music duo Galantis. It was released on 31 March 2016 as the lead single from their second studio album, The Aviary (2017). The song features uncredited vocals from Reece Bullimore, son of Beatbullyz's Andrew Bullimore and is written by Digital Farm Animals and Andrew Bullimore. It samples the amen break, most prominently at 1:44. It was commercially successful, peaking at number one in Norway and reaching the top ten in Sweden, the United Kingdom, Ireland, Australia, Austria, the Netherlands and Denmark. Additionally, it became their first single to chart on the US Billboard Hot 100 in the United States, peaking at number 88. ↑ "IFPI Denmark To Launch New Radio Airplay Chart" (PDF). Music & Media . Retrieved March 22, 2018.